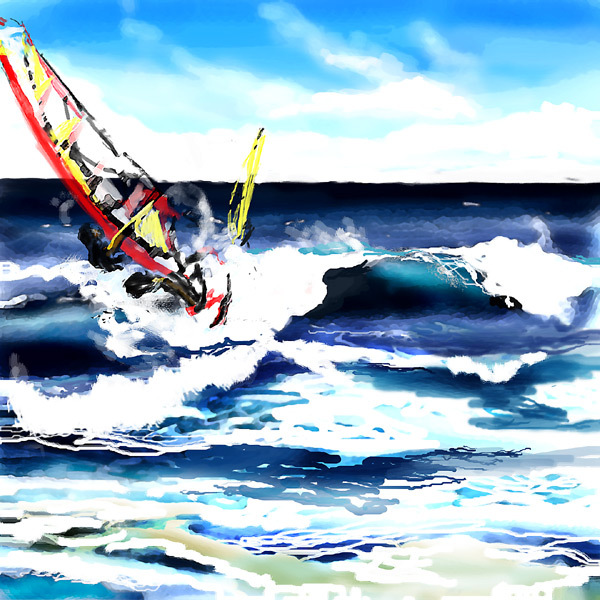 windsurfing 8 x 8 in. A recent trip to Maui was a life changing experience for me. I had no idea you could live someplace so beautiful. To be able to go bodysurfing at Big Beach one day and hike the Haleakala Crater the next, there are no words to describe it.